I was worried about not having enough to say. That turned out to be silly. The talk was supposed to be for an hour and this terrified me at first. The last/only other time I'd spoken in front of a crowd it was literally for five minutes at an Ignite Talk! It turns out the strictly-structured natured of that presentation was great practice and probably more difficult than this presentation, in some ways. With an Ignite Talk — 5 minutes, 20 slides, auto-forwarding every 20 seconds, no notes — there was the looming fear of forgetting what to say and watching the rest of the presentation derail itself. With an open-ended hour I could always take a pause, a sip of water, refer to my notes and recollect my thoughts. Even though it was 20x longer in format I found it 20x less stressful, from a pure performance perspective because i had more control over the pace. In the end it turns out I had too much to say on certain aspects of my talk — in particular on the history of and technical specs concerning MIDI — and will likely shorten that when I give this presentation again. I will also add that, even if I hadn't had too much to say, a shorter-than-advertised presentation probably isn't going to upset anyone. That just means your succinct! I attended Imad Elyafi's wonderful talk on migrating Pinterest to React. It was very well structured, clear and fantastic talk to watch as beginner to speaking, I felt. I remember noticing the end of his talk came closer to the 40-minute mark, but I don't think anyone felt it was cut-short or missing information. The people who come to hear you want to be there. You'll likely find yourself in a very warm, supportive atmosphere. They'll be rooting for you. 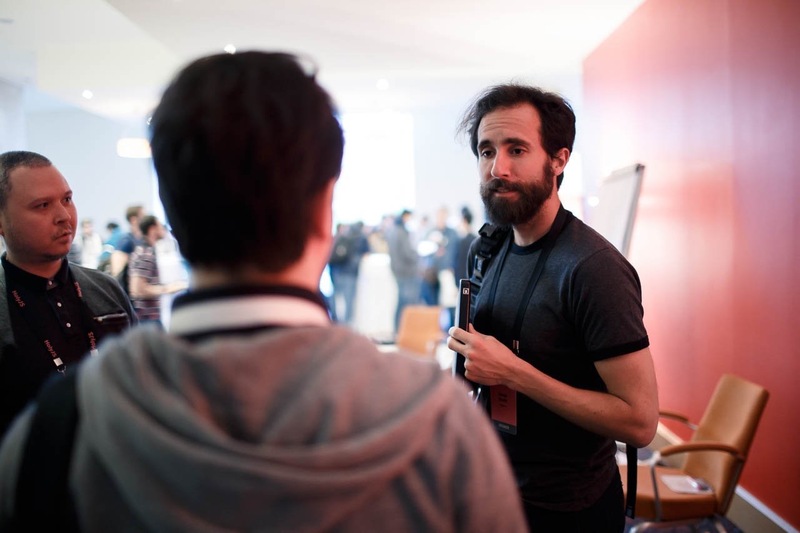 Maybe the scariest part of speaking in front of a crowd at a technical conference is coming off looking like an idiot, whether that comes through misspeaking, a demo gone awry or someone asking a question you don't have an answer to. This might speak to the quality/friendliness of Holy JS in particular, but I felt nothing but encouragement and warmth from the crowd from the second I got up there. Nobody is coming to watch you fall on your face — they want to hear what you have to say and want to see you do well. I think it's important to remember that and embrace it. Presenting on the final day has advantages and disadvantages. My presentation wasn't until the very last day of the conference and was the second-to-last one in English before the closing keynote. This was both a curse and a blessing! 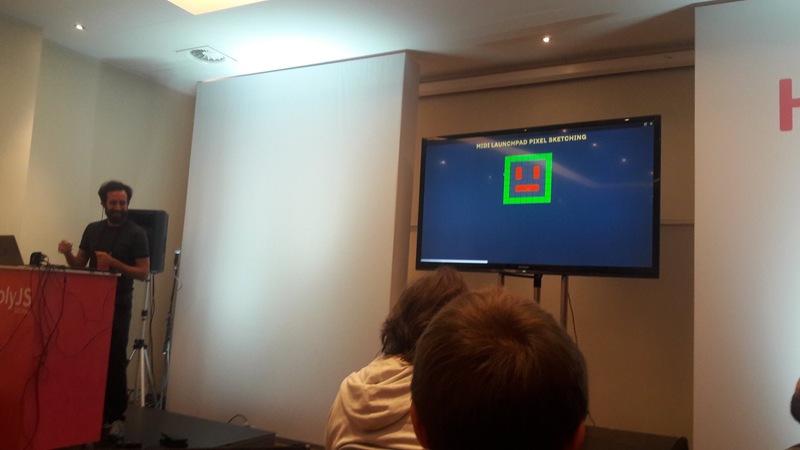 On one-hand, it gave me an opportunity to watch a lot of other talks and take notes on the various presentation styles (It also helped that many of the other speakers were relative veterans and gave wonderful talks!). On the other-hand, for two nights I stayed up far too late tweaking and changing details on my slides, testing my demos and basically obsessing over my talk. Although I'm happy with the end result, part of me wouldn't have minded getting the talk out of the way upfront so I could relax and enjoy the conference a little bit more. I was lucky to be surrounded by some very accomplished speakers. This made for a great learning opportunity. When I first discovered that Lea Verou and Douglas Crockford were speaking at the same event as me I was excited and intimidated! It struck me as both a testament to the quality of the conference and a sign that I'd really need to bring it in terms of the quality of my own presentation. Building off the previous point concerning advantages of going on the last day, seeing accomplished, well-known speakers give their presentations at the same venue was a fantastic learning opportunity and also a confidence boost. 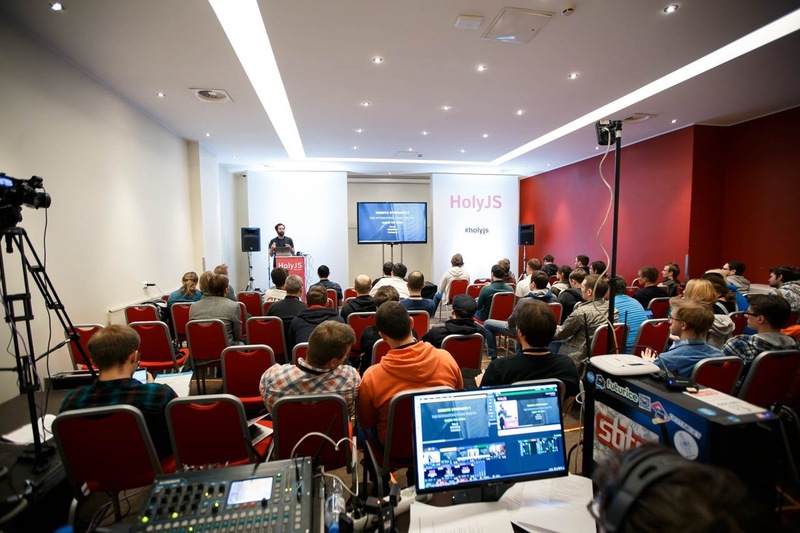 I'm still flattered that Holy JS took a chance on my talk alongside so many other great speakers. Because I'd spent too much time talking about the history of and technical specs behind the MIDI protocol I found myself rushing through demos I'd intended to dive into more deeply. This is definitely something I will fix going forward as I continue to give this talk. The demos were a huge hit! Seemingly all of the presenters I spoke with had future talks lined-up — in fact, I'll be running into a couple of them again between OdessaJS and Fullstack 2017! I'm happy with the way my first foray into technical speaking went and can't wait to hone my skills and try it again as I speak at other conferences over this coming year. 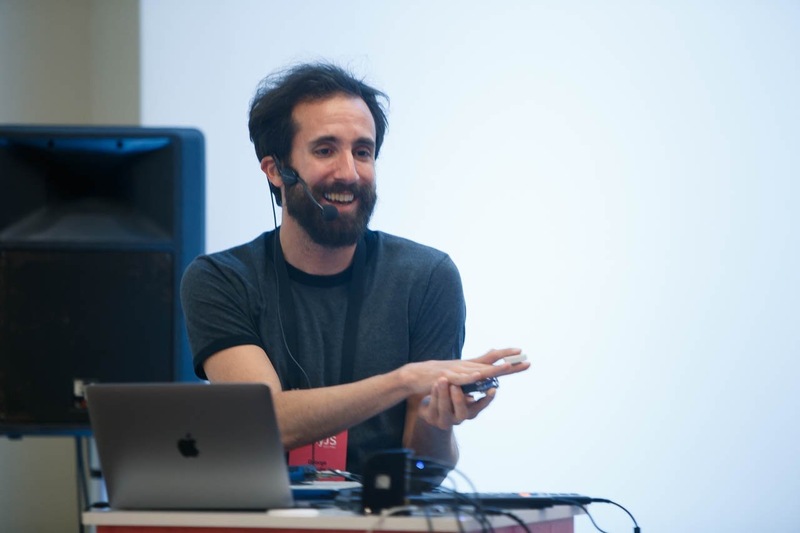 If you're on the fence about applying to speak at a conference I'd highly encourage you to do it — and in particular apply for the next Holy JS event in Moscow later this year. I can attest to the quality of the people and the event. I haven't decided if I want to apply for it yet, mostly because I'm not sure what my next topic would be, but if something goes to me I'd do it without hesitation. If you have any questions about my experience speaking at Holy JS, my presentation topic or speaking in general, please get in touch. Lastly, I've made my slides available online, though they're not particularly helpful outside of the presentation. 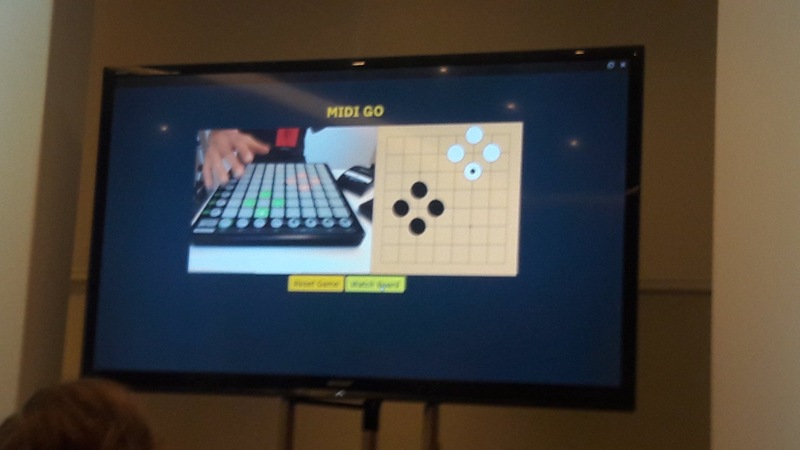 Resources from my talk are also available at midi.mand.is.